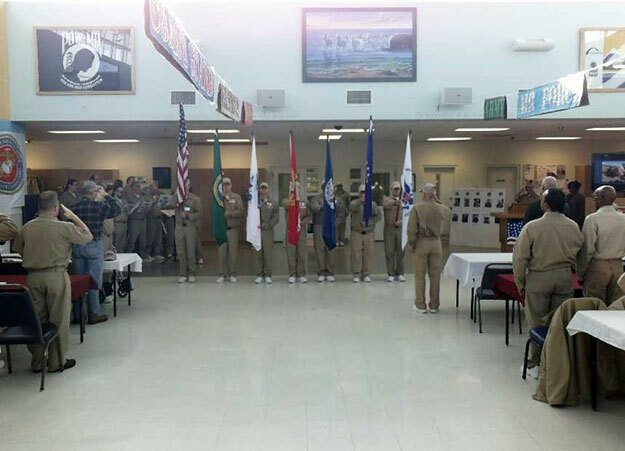 The Washington Department of Corrections in coordination with the Washington Department of the American Legion has begun to establish American Legion Posts in facilities across the state through the Legion Incarcerated Vet Support Program. Washington Corrections is the first to establish statewide systemic access to Veteran Administration services for every eligible incarcerated veteran. The extensive support from the American Legion Chapters, Veteran Services Officers (VSOs) and the Washington Department of Veterans Affairs makes this partnership possible. The American Legion assists in filing disability claims on behalf of veterans. This system is especially complicated for incarcerated veterans and this partnership aims to streamline this process. The Legion Incarcerated Vet Support Program is helping to ensure veterans, who have earned financial and educational benefits because of their service, are set to utilize the benefits upon their release. This is a main component of successful reentry. The complex system of benefits and incarceration has resulted in lost earned benefits, both to the veteran and to his/her family. This could have been because the benefits were not accessed before or because changes in the veteran's status (due to incarceration) has resulted in overpayments. This can cause an obvious burden to the veteran upon release, to have to fully pay the overpayments back. The benefits include disability compensation because of a service injury or educational benefits that are granted through the G.I. Bill. The American Legion Post 23 at Stafford Creek Corrections Center is already serving incarcerated veterans with their first meeting held back in February. Incarcerated women veterans have not been forgotten either. Through coordination from the Women Veterans Advisory Committee, American Legion Service Girls Post 204 has been providing assistance for women veterans at Washington Corrections Center for Women in Gig Harbor for the last couple of years. American Legion Post 204 is assisting incarcerated women veterans with accessing their earned benefits and responsible for volunteer doctors entering the facility to administer Compensation and Pension (C&P) exams. The City of Lacey Veterans Services Hub, staffed by American Legion Officers, has already visited approximately 40 veterans to address issues and concerns surrounding their earned benefits. The expansion of the Legion Incarcerated Vet Support Program to other facilities will be chartered and managed by the Department of Corrections and other partner American Legion posts. Priority will be given to the facilities with the highest veteran population. It is through great partnerships that Department of Corrections is able to assist veterans with resources and their earned benefits. This comprehensive hands-on approach can lead to a more successful reentry back into the community for our veterans in the community and better access to their overall earned benefits. For more information on the Legion Incarcerated Vet Support Program, to volunteer or donate, please contact the American Legion Department of Washington headquarters building at 360.491.4373 or visit walegion.org.